The Tower of Pisa ~ Why Does it Lean? What in the World is Steampunk? What’s in the Bill of Rights? Do You Take This Clown? How Long Have You Known Hester Bluet? Shall We Have a Cigarette on It? What Better Night Than Christmas Eve? 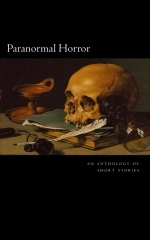 An Anthology of Short Stories by Jessica Lynne Gardner, Katanie Duarte, Matthew Wilson, Jenean McBrearty, Adam Sickmiller, Larry M. Mason, Chris Castle, Hal Kempka, Glen Rolfe, T. L. Sherwood, Arpa Mukhopadhyay, Jim Cagwin, Wendy L Schmidt, Allen Kopp, Gary Clifton, Chris Mawbey, A. A. Garrison. Edited by Elle Pryor. This paranormal horror anthology features stories about poltergeists, ghosts and haunted houses. There are demons that inhabit launderettes, shops and churches. Grave robbers die in mysterious circumstances. Aliens begin their invasion of Earth. A vampire feasts on a pet dog. Curses, mud and serial murderer’s kill their unsuspecting victims. Posted in Uncategorized and tagged Paranormal Horror Anthology, Simone Press. Bookmark the permalink.